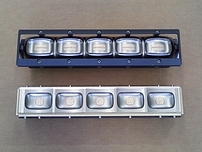 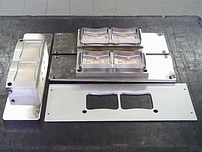 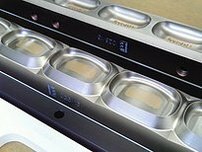 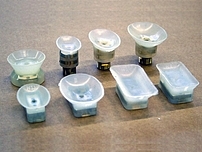 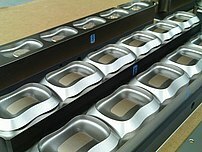 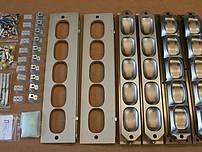 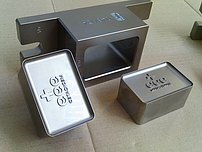 Our company designs and manufactures dies for any existing soap stamper machines such as Binacchi , Mazzoni , SAS. 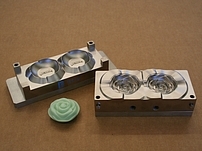 Thanks to our experience of over 100 years and to our knowledge supported by 3 modeling software and CNC machinery specific for engraving, we provide our customers with any kind of soap dies: from one cavity dies of artisan production (even artistic), the single set of dies for automatic stamper for medium production to multiple sets for the latest generation stampers for a high production worldwide brand soap of the multi-national companies. 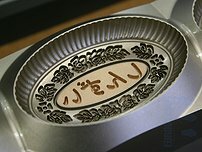 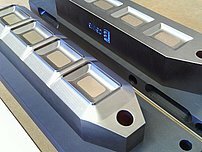 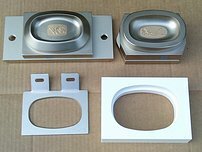 Guarantee of commercial confidentiality to our Customers from development of new projects of engraving, logos, 3D models, manufacture of dies to marketing. 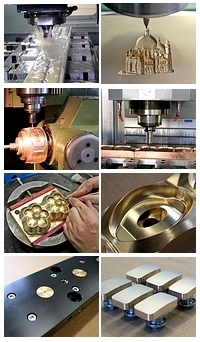 Use of top quality materials in copper alloys, bronze and brass for increased reliability and duration. 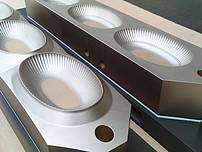 Exclusive non-stick and anti-corrosion Niflon treatment which considerably increases the duration of the dies and the removal of the soap. 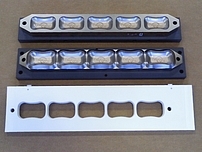 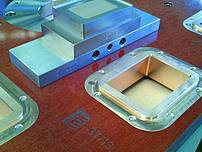 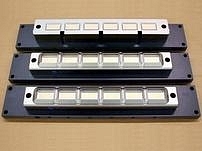 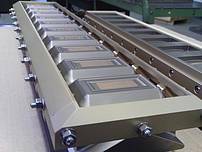 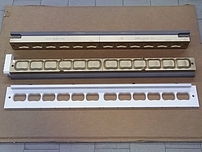 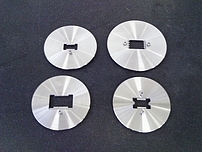 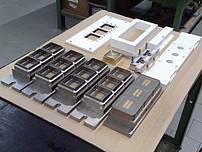 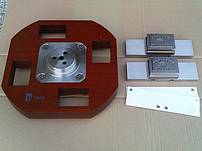 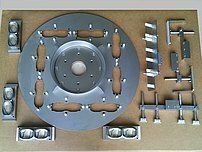 Rectification of the dies and holding plates for a better parallelism +/- 0.015mm. 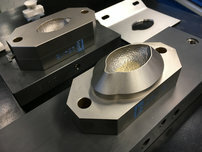 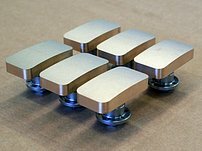 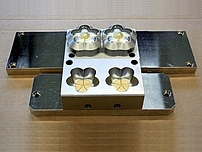 Cooling circuit of the dies made with a particular path with high thermal exchange for better cooling efficiency. 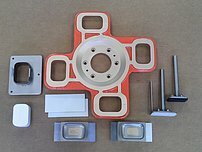 Supply of all accessories: trimmers, suction cups (more than 120 models available), additional ejectors, jig and dowel pins. 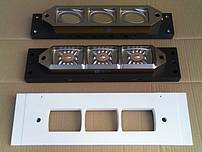 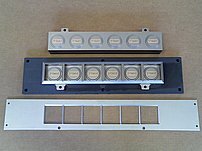 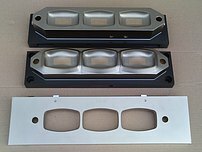 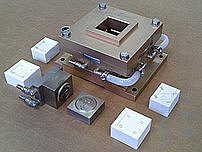 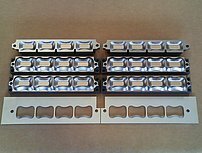 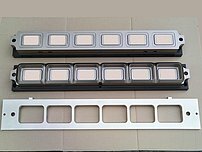 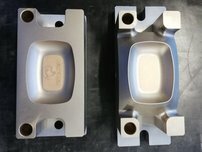 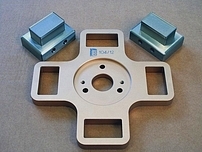 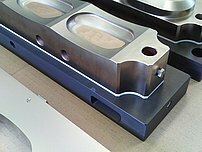 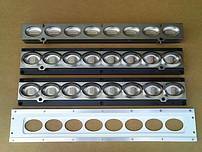 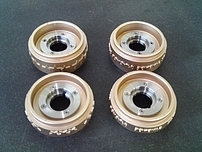 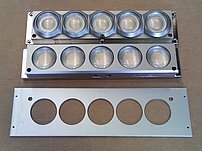 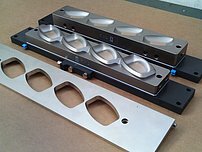 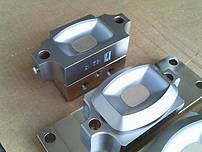 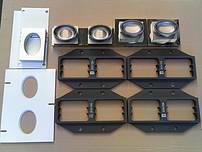 Service and spare parts: we provide for our dies, even after years, spares and ejectors with the possibility to make the identical engraving to the original one or, at your request, with a new modified logo. 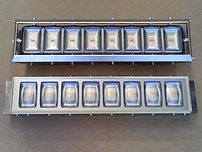 You can see in the previews that follow some of the latest molds supplied to our Customers, constantly updated page. 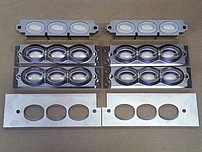 Note: logos and engraving have been removed for commercial confidentiality.